Magnetic Resonance Imaging (MRI) machines have revolutionized the way doctors are able to diagnose, study, and treat disease. These machines offer an in depth look at organ systems and allow doctors to more accurately diagnosis and treat a multitude of illnesses. MRI machines are an essential tool for catching and treating diseases in their early stages. 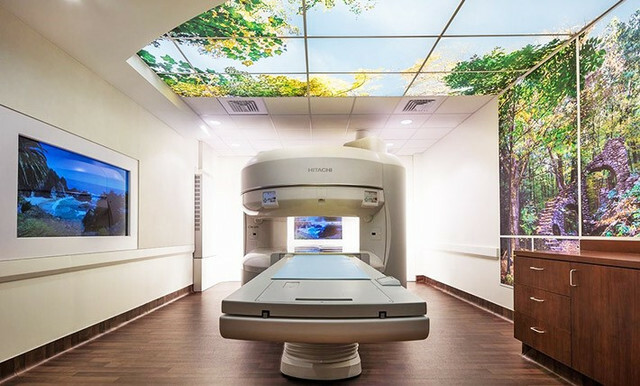 The most common image of an MRI is that of a closed scanner; however, recent advancements have allowed patients to have an open MRI as an alternative option. Both MRI scans come with their own set of benefits and drawbacks. The traditional image of an MRI is that of the closed scanner. When you here people talk of experiencing intense claustrophobia during an MRI, they are most likely referring to a closed MRI. A Closed MRI resembles a space capsule; patients are sent into an enclosed machine for several minutes while the scanner takes high quality images. The machine works by sending and receiving radio waves through the body; a computer converts the received signals into images. The primary drawback of a closed MRI is the discomfort experienced by the patient. The tight shape of the machine can cause patients to experience claustrophobia or anxiety. Additionally, a closed MRI requires that patients remain extremely still; patients that move risk having to repeat the process. Open MRI’s do not happen inside of a closed capsule; this alternative form of the MRI offers patients an open option. Patients lay on an open MRI machine in which magnets are attached to the top, bottom, and sides. Open MRI’s are a great option for patients that experience panic attacks, anxiety, or claustrophobia; however, open MRI’s are less comprehensive and accurate than the closed alternative. MRIs have greatly transformed the world of medicine. The advanced and accurate images allow doctors to more effectively treat and diagnosis disease. When choosing an MRI method, be sure to consider the pros and cons of open and closed MRIs and pick the option that best fits your needs.